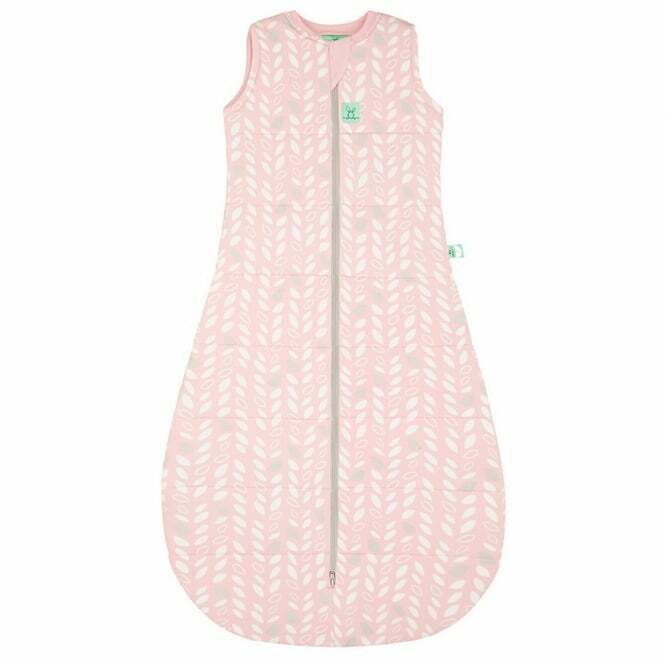 ErgoPouch Cocoon Winter Swaddle Sleep Bag 2.5 Tog is designed to contain your little one's startle reflex whilst they're sleeping. This is all whilst keeping them snug and securely swaddled throughout winter! Why should I choose the ErgoPouch Cocoon Winter Swaddle Sleep Bag 2.5 Tog? The ErgoPouch Cocoon Winter Swaddle Sleep Bag 2.5 Tog is a must-have for parents who want their baby to be warm and snuggly. It's specifically designed to contain your little one's startle reflex whilst they're sleeping which can disturb them. Also, there's poppers in the armholes that convert this swaddle into your bubba's first sleeping bag! This 2 in 1 swaddle and sleep bag can be converted by opening the poppers in the armholes once your little one is able to roll onto their tummy. In addition to this, the 2-way zipper means that getting baby in and out of this swaddle is so easy. It also makes nappy changes an absolute breeze! The ErgoPouch Cocoon Winter Swaddle Sleep Bag 2.5 Tog is also difficult to wriggle out from. This means that sleeps are longer - hooray! The bell shaped bottom of this Swaddle Sleep Bag is incredibly hip-friendly. It allows for the hips and legs to flop outwards during sleep! As well as this, the stretchy material of this sleep bag allows for growth spurts, full chest expansion and a comfy sleep for baby. The organic cotton and bamboo fabrics makes this sleep bag by ErgoPouch incredibly skin friendly as it promotes breathability and prevents a sweaty baby! What are the specifications of the ErgoPouch Cocoon Winter Swaddle Sleep Bag 2.5 Tog? Fabric: Outer: 95% Organic Cotton, 5% Elastane. Inner: 95% Bamboo Viscose, 5% Elastane. Filling: 100% Organic Cotton. Showing our 4 ErgoPouch Cocoon Winter Swaddle Sleep Bag 2.5 Tog reviews with an average rating of Excellent. Would you like to write a review? Your Review - Great looking sleeping bag, lovely material. Sizing perfect. Used for transition from swaddle - was really useful and helped baby get used to having his arms free! Your Review - I purchased the spring leaves swaddle sleeping bag for my 3 month old. She was in a simple thin zip up swaddle but was quickly outgrowing it so needed something for her to transition into normal sleeping. This product works perfectly! There are poppers on the shoulder areas so it acts as a swaddle and keeps babies arms in the bag so her startle reflex doesn’t wake her up. As she gets older, i can open the poppers on one shoulder and then the other for it to act as a normal sleeping bag. Price wise, I got mine when it was on sale at around £25? It seems to be about £40 normally. It is highly priced, but it’s worth it. If you get get it when it’s on sale, it’s an absolute steal! Love it. Your Review - Having bought the sleeping bags for my toddler I bought the 0.2, 1 and 2.5 tog swaddle sleep bags for my baby. The material is so soft, they have washed really well and it has definitely helped my baby to sleep, as she took ages to grow out of the startle reflex and I did the transition from swaddle to arms out by unpoppering one arm before both. The material is slightly stretchy too. I couldn't recommend these products highly enough. Really like this product, it's warm and cosy, and the patterns are also lovely. We've used this since our newborn was born, we can change her nappies easily when she's in it and her arms are free to move around. Everything we could have wanted in a sleep suit.